It feels like a long wait but boy, was it worth it! Let the planning (and the hard, hard choices) begin! I'm just amazed at how much the festival has grown in just one year. It's one thing to see all of the announcements, quite another to see it laid out in a table. And, with so many passes and rooms, etc., selling out so quickly, I can only imagine where this is headed over the next 10 years. I wonder how long it will take to expand it by a day. The number of venues for films has grown by 25%, and overall, from four to six. Amazing. Shall we assume that the the "TBA"'s in the Chinese on Sunday are held for encore performances? I'm relieved to see that I only have one real "Sophie's Choice": The Dodsworth and Merry Widow overlap. But then I see the panel discussions aren't listed on this calendar, and the Voice Doubles and others will probably impede with some delicious bill. So glad to finally see the schedule, and so thankful to Lynn for posting it! Jack, the TBA slots on Sunday are for repeat performances. Chinese 3 is a small, none too comfortable theater that seats less than 200 people, but I saw some great movies there last year. Chinese 1, which has a TBA Sunday night, is larger and more comfortable. There will be postings concerning which films are being shown again. There will be information tables in the Mann's Chinese lobby, among other places, which will have the latest information about updated schedules. Last year the repeats were "sleeper" films like The Stunt Man, A Woman's Face, No Orchids for Miss Blandish, and Murder, He Says. Thanks--you were at least a half-hour ahead of the TCM email! UGH...the main movie for me...Von Sternberg's THE DEVIL IS A WOMAN...is at the same time as the Vanity Fair party. Oh well...the husband can have cocktails while I watch Marlene Dietrich on the big screen. JB - the panel discussions are on the schedule - you just need to scroll over way to the right. This schedule is amazing! I'll probably spend the next 2.5 weeks trying to figure out how to see everything I want to see. Thanks, those encores could rescue the Sophie from her choice! I posted it to TCM's Facebook page; was surprised they hadn't mentioned it yet. It looks as though (and correct me if I'm mistaken) Gregory Peck's family will now be present at TO KILL A MOCKINGBIRD with Mary Badham, rather than THE GUNS OF NAVARONE (which, it seems, has been replaced by THE GODFATHER?) as originally scheduled. I wonder if there will be other changes before the festival starts. I don't know---I'm new here. Your eyes are not mistaken. That is what I also see listed for Friday. ("Navarone" - Out. "Godfather" - In.) But the Peck family was always going to participate in the screening of *To Kill A Mockingbird*. Adding *The Godfather* to the schedule is quite a coup. 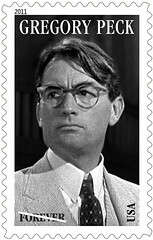 On the 28th, the Peck Family will be in Beverly Hills participating in the "First Day Of Issue" ceremony for the release of Gregory Peck's "Legends Of Hollywood" postage stamp. It is possible. Last year there were tweaks to the schedule throughout the month leading up to Opening Night. A few films fell off the line-up while others were added. Keep checking the website for additional information and any other updates. Just so everyone doesn't think Kyle and Chicagovet are hallucinating. *The Godfather* is listed on the regular Festival schedule but if you print the schedule out, it still says *Guns of Navarone*. Hopefully, that will get fixed soon! > I wonder if there will be other changes before the festival starts. I don't know---I'm new here. Of course there will be changes, chicago. How else do you think they can keep us off balance and in deep states of planning-trance? The is a change - Sony notified us last week that "The Guns of Navarone" restoration won't be available as anticipated, so "The Godfather" will play instead. It sounds like the panels could be the most interesting thing to experience. They are unique. I've seen some of the films many times, but I sort of wouldn't mind seeing almost every pre-1970 one again! Special on the big screen. I'm glad they're showing some rare ones like NIGHT FLIGHT, THE CONSTANT NYMPH, and WEST SIDE STORY in 70mm. I'm guessing the celebrities for the non-discussion movies will give their films a short introduction? Actually, I wish the films were scheduled to 3am (maybe as encores). How nice are the different theaters? The only one I've been to is the Egyptian, and I liked it. Bear in mind that *The Constant Nymph* has rights issues that keep it from being shown on TCM. TCM was able to clear the theatrical rights for *Night Flight* after over 70 years but I don't know if that includes broadcast rights as well. As a died in the wool Angeleno for almost 40 years, I've spent many hours in both the Chinese and Egyptian theaters. Grauman's Chinese is a wonderful theater. Built in the 1920s, it still retains much of its grandeur. The Egyptian theater was seriously damaged in the 1994 Northridge earthquake and the retrofitting that had to be done seriously altered the size, sight lines and the opulence of the Egyptian. The Music Box seats 450 for live taping (ie the Peter O'Toole interview) and 1300 for live music (Vince G and the Night Hawks).